Is My Blog a Success? Thank you Misha for giving me the opportunity to take over your blog for the day. When I was first thought about the topic Keeping Track, I wasn’t quite sure which direction this post was going to take. I had several options: keeping track of my writing, keeping track of my schedule or perhaps keeping track of my life in general (to overwhelming at the moment to put into actual words). · How many blog followers do you have? · How many views does your blog get per day? · How many Twitter Followers do I have? · How many Facebook Friends do I have? I felt kind of defeated because I didn’t want the worthiness of my blog to be based on the amount of people who actually saw it every day. I mean I put a lot of work into this thing. Doesn’t that count. Well, unfortunately, for some, it doesn’t. For some, a successful blog is a blog with a 10,000 hits per day and 10,000 new followers every month. I figured I didn’t have enough of any of them to be included on the blog tour or be a marketing benefit for any new book release. So, I shut down the questionnaire and went to check out what was happening on Twitter. I am not in the habit of comparing myself to others. I like to think of myself as an individual, but not in a cooler then others kind of way. But, when asked to give my numbers my insecurities got the best of me, no way would I measure up. Now, before you fill up the comments with encouragement and motivation, no worries I get it now. My thought process was ridiculous and way off. There are millions of blogs on the web (not sure if that’s accurate, but I am trying to make a point here). In terms of views and followers, my blog has started slow, but my followers increase every week. My post schedule is consistent and I have a few weekly features people seem to like. My twitter following is good and was built with persistence. I reluctantly created a Facebook profile, which I now love (FB Group are the best) and a Pinterest account. I don’t understand the purpose for that one, but am having a blast utilizing it for my own entertainment. BTW, if you want to comment on something, feel free to comment on the point of Pinterest. The time and work I put into my online profile is worth the effort and I am proud of it. But, most importantly, I ‘ve met some great people since starting my blog. Real people (not little computer friends as my boss calls them) who read my posts religiously. Or at least skim my post religiously. They read my rants, raves and reviews and agree and/or disagree, but, always with an encouraging tone. At least that’s how I read it. No matter the numbers, I am a successful blogger. So, I decided not worry about keeping track of how I’m doing compare to others. I’ll continue on in my blog journey with my blog friends and the rest will take care of itself. I went back and completed the blog tour host questionnaire and my numbers were more than adequate. I liked to give credit to my quality content and not because they didn’t have enough people signed up in the first place. How do you define a successful blog? How do you measure up? When Misha mentioned that her theme this month was keeping track, I immediately thought of time management. Most writers are not blessed with being able to write full time. We have to balance work and family with that writing time. And if you’re self-publishing (like I chose to do) time-management becomes an even bigger issue. There’s no editor or agent to give you deadlines or reminders to keep working. You’re on your own. So how do you make the best use of your time? Here’s my list of suggestions. I wrote them specifically for writers, but you can expand this to apply to most activities. The very, very first step to improve time management is to make a mental commitment to your new schedule. If you don’t want to improve your time management, you probably won’t. So start by listing your goals. Perhaps you want to set aside time to write for one hour every day (that’s my usual time goal). Maybe you want to focus on reading more. Whatever it is, list your goals, and make a promise to yourself to commit. I am so guilty of this, especially around New Year’s. I make all these crazy resolutions, like I’ll go running for an hour every day, or I’ll cook dinner every evening (yeah, right). Figure out what is realistic for you. Once again, if it’s a big change, you’re less likely to follow through. Start with one small change (like setting aside 30 minutes a day for writing), and then build up to something bigger. I am definitely an early bird. My most productive time of day is 6 AM, when I have the first mug of coffee in my hands. But I know not everyone is like that. Honestly assess yourself and decide when during the day you’re most productive. Maybe inspiration hits during your lunch break. Maybe your best ideas coming after dinner. Make sure you’re setting up your block of writing time to coincide with when you do your best work. There’s nothing like seeing your schedule in black in white (or on the computer screen, as the case may be). Personally, I am a Google Calendar addict. When I’m not writing, I’m tutoring, so I use Google Calendar to keep my schedule straight. I set up a block most mornings to write. The nice thing about Google Calendars is that it will sync up to my phone, so I can always keep track of my schedule. The other nice thing is that you can leave event notes. For my writing blocks, I’ll leave a note with how many words I wrote that day. It helps me to track my progress and keep me motivated toward my goal. It can be hard to hold ourselves accountable, so find a way to set some kind of enforcement for your deadlines. 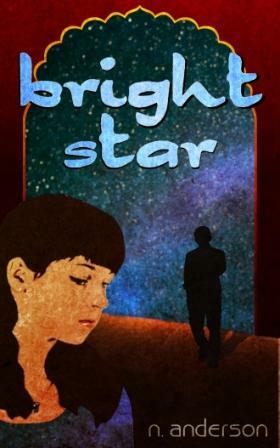 For my first book, ‘Bright Star’, I was having trouble keeping myself motivated through the editing phase. To keep myself on track, I booked a freelance editor about 8 weeks in advance. My deadline then became getting through all of my corrections and rewrites BEFORE I sent my work off to my editor. Having another person to be accountable to makes a world of difference. Don’t have an editor? Then set up a deadline with a friend or relative. You can agree to show them a draft of your work X weeks out. Knowing that another person is counting on your work definitely helps motivation. This is my favorite step. If you meet your goals (i.e. — writing for an hour every day for a month, or getting your draft ready before your deadline), treat yourself to something! You’ve earned it. Whether it be a nice dinner out, a bottle of wine, or some cheesecake (oh, yum, cheesecake), giving yourself a little pat on the back makes it easier to stay motivated to make the best use of your time. You can find Nickie Anderson on her blog. It’s bad enough that Sadira Pascal’s father doesn’t make it home to celebrate her fifteenth birthday. He might be a busy hovership engineer pulling overtime on a new design, but he’s always been home for the important things. It’s worse when she discovers her father decided to ride on the maiden voyage of his newest ship, the CAS Bright Star, without even telling her. But things really fall apart during Sadira’s field trip with her class to observe the hovership launch. Instead of a successful flight, she watches the Bright Star fall out of the sky. The Central government confirms her father’s death, leaving Sadira to pick up the pieces of her former life. While she struggles with her loss, Private Baruj Haddad tries to convince her that her father and the rest of the Bright Star crew are still alive. At first, Sadira doesn’t believe there’s any hope. But then she stumbles across a message that makes her think maybe, just maybe, her father is still alive. As she digs deeper into the Bright Star’s crash, Sadira uncovers secrets about her father’s work, secrets that put her and everyone she loves in danger. Just want to wish all my U.S. blogging friends a happy Thanksgiving. Have a wonderful time with your families. I wonder what it is about NaNo that makes people think that drafts have to be 50 000 words long. I mean, I announced my completing a story draft, wanting to share my joy with others who would understand. … Uhm… seems I made a slight wrong assumption on that count. Although you ladies and gents who read my blogs are overwhelmingly supportive, twitter and NaNo wasn’t as much. Not that the people there were mean or anything, but they keep commenting on my 18k shortfall. Or saying I should do whatever I can to pad the story and win. All I want to know is why? NaNo is about writing a rough draft that can be worked into something more. So if I got to that point at 10k, I would have made the same announcement. Or any other number. If I hadn’t found the right formula, I would have kept going to 50k. But no. My lucky number for this story was 32k. It’s done. Why will I mess around with backstory and all sorts of nonsense in search of 18k I don’t need? It’s a waste of time, if I’m honest. It just puzzles me in the same way the issue’s cousin has me scratching my head. Why do some writers thing their way is the only way to write? It’s the best way for them, yes. But why would that give them a reason to look down their noses at every single other method out there. And trust me. There are as many methods as there are writers. Why must everyone conform to a single way of doing things? Doesn’t that defeat the object of artistic expression? As I mentioned last night, I finished a draft in 16 days. Which is, if I say so myself, a marvelous achievement. But… There are still 18k words left before I can win NaNoWriMo and when I woke up, I started thinking. What would it matter if I started on another story? 50k is 50k, right? So yeah, I’m going to dust off a story I put on the shelf long ago. Unlike before, though, I won’t be pushing as hard, because I can feel something lurking that I don’t like. Fatigue. I’m feeling tired, even though I want to continue writing, so I’ll just go on at a somewhat relaxed pace and see how far I get. Especially since this story isn’t nearly as ripe in my mind as the one I finished had been. This might be much slower going, but hey, I’ll have more than I did before. Do you also slow down when you feel fatigue coming on? When the going got tough, I kept going. And it worked! Just a short message from my NaNo process I thought I’d share. Remember when I said I had a hard time because the story and characters kept fighting me? Well… it took a week of writing through wool. It was painful. It was difficult. It was a constant battle trying to find words and knowing what happens next. Then it was week 2. THAT week. The one where things become more difficult because the story really needs to start going places by now. I was in a panic about that, because unlike most WriMo’s, I didn’t even have the advantage of the beginner’s thrill. That I’d lost by day 3. Still, after some encouragement from two ladies I met for a write-in, I decided to keep trying. It was even harder and I started to foresee the onset of Saggy Middle Syndrome. You know the one. Where you have no idea where the story is going any more, so it sags right where it’s supposed to be growing in excitement. I despaired of my hopes to ever win a NaNo, but on the evening of day 8, something wonderful happened. My female main character decided to take a new course of action. It changed everything. Set up the conflicts, stakes, everything. It was as if the gates of writerly heaven swung open and I could just keep going. That feeling is still there. I’m so excited to keep going. I think… Dare I say it? How are things going for you – NaNo or no?